Saint Helena bed and breakfast travel guide for romantic, historic and adventure b&b's. 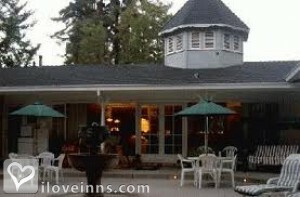 Browse through the iLoveInns.com database of Saint Helena, California bed and breakfasts and country inns to find detailed listings that include room rates, special deals and area activities. You can click on the 'check rates and availability' button to contact the innkeeper. Popularly known as the heart of the Napa Valley in California, the city of Saint Helena is one of the most engaging, yet relaxing cities in the winery area. And because Saint Helena is at the center of Napa Valley, you get the finest in culinary experience as well as wine country warmth and generosity. The only difficult part in visiting Saint Helena is choosing where to go because of the abundance of great things to do, including selecting where to stay of the many Saint Helena bed and breakfast inns. After your relaxing stay on any of the bed and breakfast inns, you can ask directions on how to get to Bothe-Napa Valley State Park which is a must destination for those who love nature walks. Visit historic Long Meadow Ranch which was built back in 1872 and up to now is still active in the production of organic or grass-fed beef, olive oil, and of course, wine. By Ink House. St. Helena is the true heart of the Napa Valley. This small town of 5000 people is surrounded by vineyards and wineries. The classic main street has many great restaurants and perfect boutique shopping. You can even walk to many wine tasting rooms. 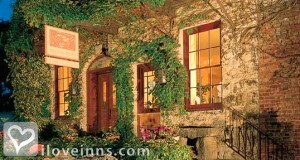 If you are coming to the Napa Valley this is the place to stay. By Shady Oaks Country Inn. St. Helena is the true heart of the Napa Valley! It is a darling, charming historic town tucked in the center of the most wonderful wineries and restaurants in the valley. St. Helena is home to world class fine and casual dining and unique shopping! Be sure to stop in at the Bale Grist Mill State Historic Park and the Robert Louis Stevenson Silverado Museum.Don't miss our little piece of heaven. By Shady Oaks Country Inn. Napa valley is a reknown wine-making region in the United States. St. Helena is in the true heart of the valley. The original Napa Valley town built in the 1800's is perfect for shopping, restaurants and wine tasting. By Ambrose Bierce House. World famous Napa County is where you will find the quiet town of St. Helena. The town's central location makes it a great starting point for the exploration of the entire Napa Valley and together with its quaint 19th-century appeal, St. Helena is really the place to be if you want to experience tranquility and excitement all rolled into one. 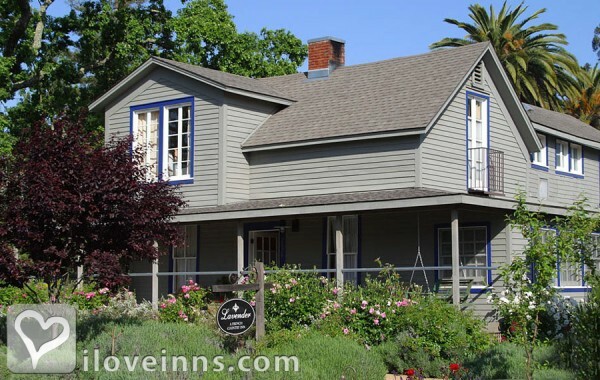 To complete your experience, stay at any Saint Helena bed and breakfast inn. And while in town, do not forget to do some winery tours and ask for directions on how to get to some of the best wine tasting demos within the area. For shopping lovers, stroll on Main Street and see old buildings with great selections of art galleries, food shops, and even great clothes. Visit the Silverado Museum which contains the largest collection of Robert Louis Stevenson memorabilia and books other than in his native Scotland. By Ink House.